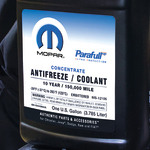 If you have an FCA vehicle, it is a good idea to have a Mopar vehicle protection package. It can help you out in a variety of situations such as when your key fob is lost or stolen. You can have up to three keys replaced without the need to pay a deductible. Another great feature is the ability to get coverage for a rental car from the day that you rent it. This provides you with up to $35 in savings in the event that your car stops working. Furthermore, your plan will give up to five days of coverage at up to $35 per day while your car is being repaired. You can learn more about the coverage options available to you by talking to a representative from DARCARS Chrysler Dodge Jeep RAM of Rockville. It may be possible to upgrade or otherwise change your existing package if the need arises.